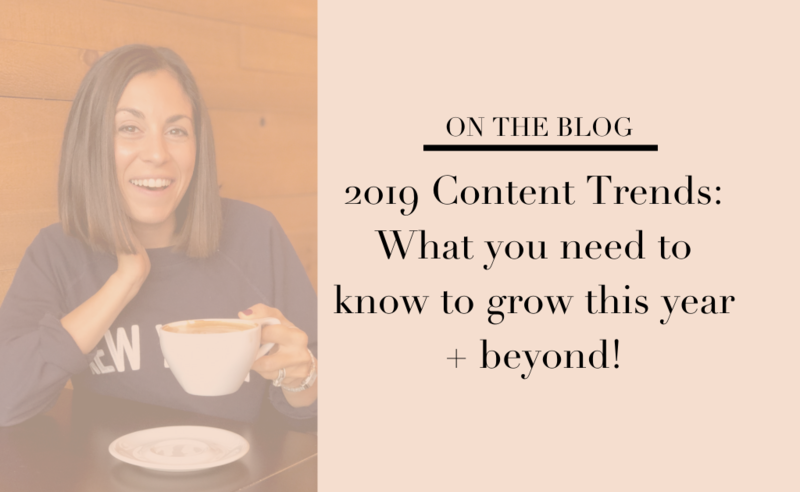 Here are the top 5 content trends and things for 2019 you need to be aware of if you’re a content creator and you want to see big growth this year. If you feel like you’re always putting out content and praying it does well, there are a 5 ways you can shift your focus and see really big results! 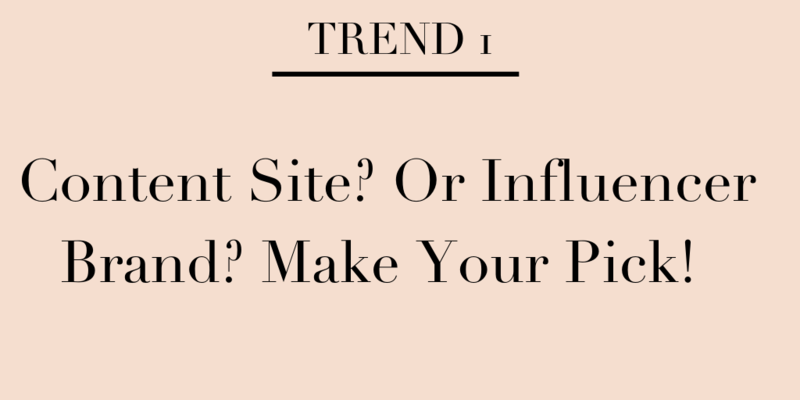 I work with hundreds of influencers and I’ve started to see trends for what’s working and what’s not in 2019. 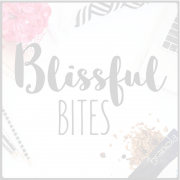 I’ve pulled out these things for you to think about and implement if you’re trying to grow your blog, your social media platforms, or you content based business. It doesn’t have to be about posting every day and killing yourself to make new material, or relying on followers or page views to be really successful. 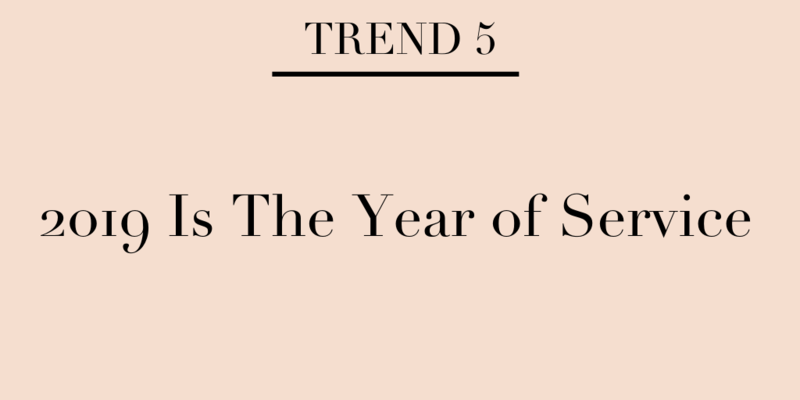 I think these trends will surprise you, and make prosperity closer than you think. Here are the 5 things to focus on for maximum results. Do you want to build an influencer brand or do you want to build a content site? They’re very different approaches. Have you ever thought about your end goal and why you’re doing what you’re doing? A lot of people tell me they want to make ad revenue by having a lot of content and traffic, and they also want to build an engaged brand to work with sponsors. Unfortunately, gone are the days when you can post a lot of content about different things and expect people to come to you immediately. If you’re all over the place with your focus, your people won’t understand what you are delivering and they won’t be sure what to come to you for at first. If you want to have passive income from ads, it’s actually not passive first, because you do have to build your content and that takes time. If you want to make money from ad networks, I recommend that you really niche down your focus and brush up on SEO. Search engines will recognize your site for specific content, and this will drive the traffic that you need for high paying ad networks. If you want to be an influencer and build a brand, you need to do something differently to set yourself apart to guarantee results for brand campaigns. You can’t just post your perfect pictures and perfect recipes and post continually and expect people to care. Focus on the audience you want to attract and create for them. 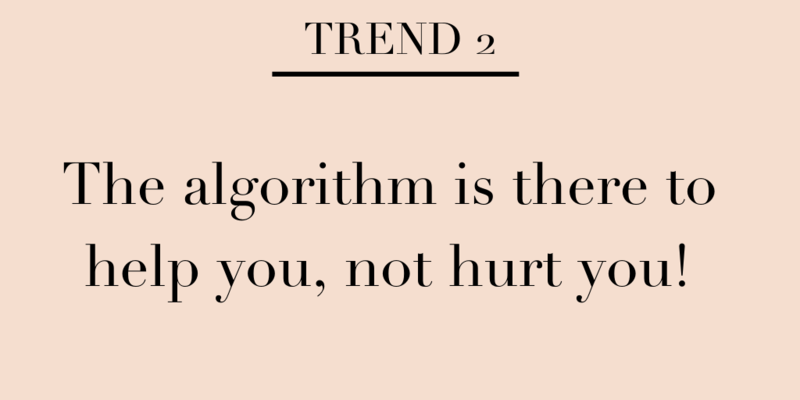 Trend 2: The Algorithm is There to Help You Not Hurt You. Doing the same thing over and over again is the definition of insanity. This is tough love, but if you’re always cursing the algorithm then that’s crazy. You have to be a problem solver, not a complainer. If you feel like you can’t stop feeling negative about social media growth and the algorithm changes, you should either take a break or focus on what is working. How can you try to do what’s different? The algorithm serves up what people want to see, so if you’re living off Instagram or Facebook you should come join Shift University because we have to change that. What is your bigger purpose of running your business, because I’m guessing you probably started to help people, not for likes or comments. Those don’t pay the bills, so figure out how you can serve people more and focus on quality of content. It’s easy to blame the algorithms. But with a little effort we can fix that mindset and get you some serious wins. Want to know two ways you can fix this? Create a serial experience for your people, and focus on serving your people. More on both of these below. Here’s the good news – you don’t have to be on the content creation treadmill anymore. If you can learn to solve problems in a sequential way you’ll be onto something. My clients and the students in Shift University who are focused on creating an experience for their audience with serial content are seeing crazy results. Your people want a natural flow of content that builds up to something. So personal brands have to do something differently. Everyone is posting highlight reels and random content that doesn’t seem to flow. Let’s focus on creating purposeful content. Give people an experience to what you’re doing and talk to a sub niche. Go even deeper so you can connect with your audience and increase engagement. Brands are expecting more, and so are your audience members. 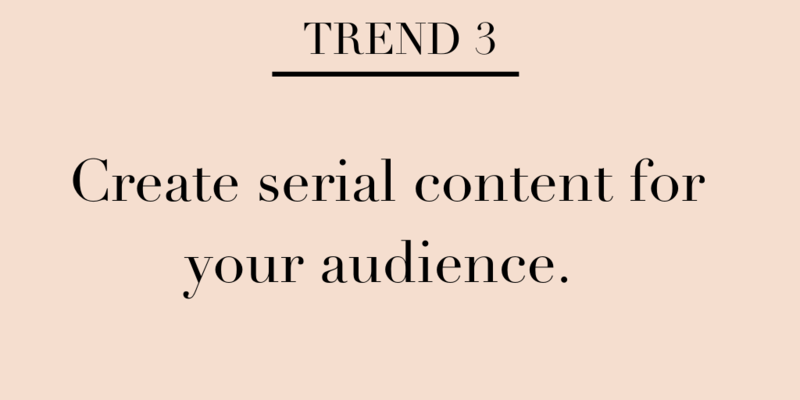 Create content your people want and can expect. It’s not boring if you’re creating content that people are excited about. For example, I’m a huge fan of Vanderpump Rules. I love it and I expect it to be sort of the same each time. They give me a preview of the next episode or season and have me wanting more every time I watch it. How can you get people on the edges of their seat for what’s to come? My people that are doing this are getting bigger partnerships, they’re filling their membership groups and summits. 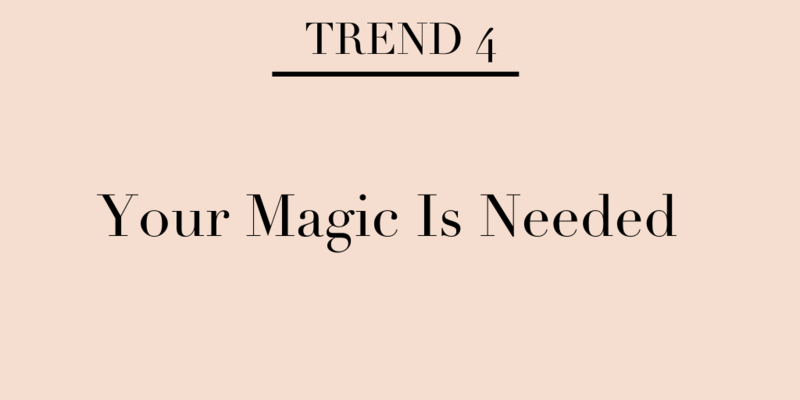 If you focus on your magic and deliver it in a serial way, your audience will keep coming back and you won’t have to worry about the algorithm. Treat people like people and serve your audience. If you come from a place of service your business will never go out of style. Every single person that’s coming to you is someone who is taking time out of their day for YOU! Don’t discount them. Celebrate them. People can see through your content and why you’re doing what you’re doing. If you are growing an influencer brand, you have to understand your people are everything. If you aren’t helping them and serving them, then what is the point of what you are doing? Ask how you can help people today and then do it! I’m really excited about these content trends. I love that we can all pull back from the content creation wheel and hone in on what we’re good at and what we love to drive traffic and to connect with and help our people. 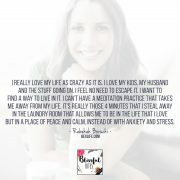 I know you’re going to be blown away when you start to make these changes in your business. 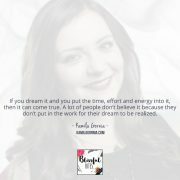 My guess is that it will help you focus on being grateful for your people and what’s already working which is the key to creating a business and lifestyle that feels good and is sustainable in the long run. Here’s to the shift in 2019!